Wisdom, vitality, balance, guardian, warrior and mystic are sets of starting stats in Kingdom Hearts 3. Depending on which ones you choose, you’ll get access to different abilities and your stats and attributes will increase in different ways. It’s an important choice, and the game doesn’t give you enough information to make a decision. That’s why we’ve written this guide, to explain how Kingdom Hearts 3 starting stats & classes work. Wisdom, Vitality, Balance – What do you desire? When you pass through the mirror you’ll get to choose between three pictures, each one representing one of the starting stats. Your strength, magic and defense will increase the same way, no matter what you pick. The one you choose will influence the rate of HP and MP increase, and your abilities. Wisdom will give you greater MP increases when you level up, but you’ll get less HP. You’ll start with 90 HP and 120 MP. Vitality is for those who want more HP and don’t mind less MP – if you choose this one, you’ll get 120 HP and 100 MP at the beginning. Balanced is meant for those who can’t decide which one of the first two they prefer – you’ll get almost equal amounts of HP and MP, but less than you would if you’d have comitted to just one (starting with 105 HP and 110 MP). Guardian, Warrior, Mystic – What power do you seek? Once you’ve chosen your starting stats, you’ll get three new pictures which represent classes. They will allow you to unlock different abilities, and their names are pretty good descriptors. Guardian is all about defense – it’ll shower you with skills which let you recover HP when blocking, decrease the amount of damage you take or protect you from deadly combos. Warrior is for those who like dealing damage with their keyblade. It lets you prolongue your combos and be more efficient in combat. Finally, the Mystic is a mage – he has abilities that decrease the MP costs when chain-casting, increase his elemental damage and more. 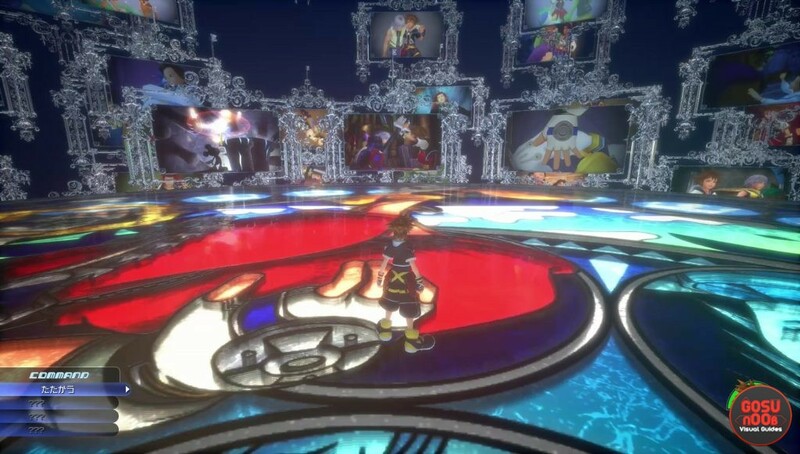 You can also take a look at our guide Kingdom Hearts 3 Difficulty Levels – What to Choose – Beginner, Standard, Proud where we talk about what class and stat to choose depending on difficulty level.